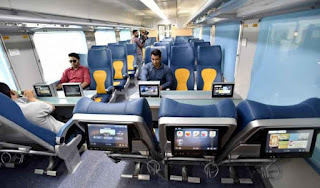 Tejas Express boasts of ultra-modern amenities like on-board infotainment, wi-fi, CCTV, fire and smoke detection facilities, tea/coffee vending machine etc. It is a super fast train, which will run at a speed of 130 kph. Tejas Express's executive class fare is Rs 2,680 (with food) and Rs 2,525 (without food), and for AC chair car the fare has been fixed at Rs 1,280 (with food) and Rs 1,155 (without food). Ticket booking for the inaugural run started on Sunday and in the first four hours, 207 passengers booked tickets for the AC chair car and 10 for executive AC chair car. The Airports Council International has accredited Kempegowda International Airport with the `Level 3 Plus Neutrality' certification under Airport Carbon Accreditation. 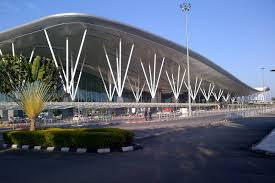 The Bangalore International Airport Limited (BIAL) has upgraded the airport to this level, which is the highest level of environmental achievement available to airports, and becomes the fourth such green airport in Asia Pacificregion, reducing carbon emissions by 57% since 2008. BIAL continues to work in collaboration with its partners within the eco-system to improve and reduce energy, constantly working towards carbon neutrality." 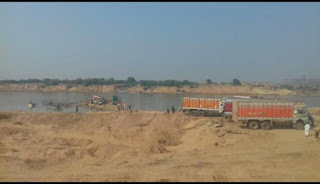 Madhya Pradesh Chief Minister Shivraj Singh Chouhan announced a blanket ban on sand mining in river Narmada – considered the lifeline of the central Indian state. The committee which will recommend the state government measures for scientific mining will be headed by MP’s minister for mineral resources, commerce and industry Rajendra Shukla. It will work along with experts from Indian Institute of Technology (IIT-Kharagpur) in developing a blueprint for scientific mining in river Narmada. The 52nd Annual Meetings of the African Development bank are being held in Gandhinagar, Gujarat from 22 to 26 May 2017. This is the first time that the Annual Meetings of AfDB are being held in India. These Meetings are the Bank’s largest annual event and serve to raise the profile of the institution on the global stage. In addition to the Annual Meeting of the Board of Governors, these Meetings will bring together about 3000 delegates and participants, and will feature a number of official, knowledge, and side events. The Governors of the Bank are from the 54 African regional member countries and 27 non-regional member countries (including India). The Annual Meetings provide a unique forum for representatives of government, business, civil society, think-tanks, academia and the media – from Africa and beyond – to debate key issues on Africa’s development, and to discuss the Bank’s performance in delivering on its mandate. India joined the African Development Fund in 1982, and became a member of the Bank in 1983. India is a non-regional member of the Bank. India and Africa share a great relationship, and have great degree of commonalities in terms of a shared history, and current challenges. In the recent past, we have taken a number of initiatives to further deepen our association. Saudi Arabia’s King Salman bin Abdulaziz Al Saud presented Donald Trump with the kingdom’s top civilian honour on Saturday, as the US President began a trip to Riyadh aimed at strengthening security and economic ties. 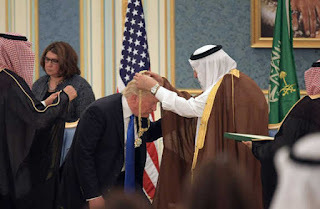 King Salman decorated Trump with the gold King Abdulaziz medal during a meeting at the royal court in the Saudi capital. He declared Trump was being honoured for “his quest to enhance security and stability in the region and around the world”. 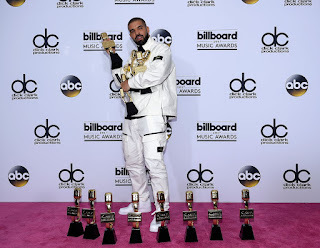 The medal has also been bestowed to Russian President Vladimir Putin, British Prime Minister Theresa May and Trump’s predecessor, Barack Obama. In addition, they also claimed four silver medals for a total of 14 medals from the regional championships. In junior boys final, top-seed Manav Thakkar defeated Parth Virmani 11-6, 6-11, 11-7, 11-9 for the gold. Umesh Tennakon and KDV Madhushan, who lost their semi-final matches to Manav and Parth, respectively. In junior girls final, top seed Archana Girish Kamath accounted for second seed Priyanka Pareek 11-9, 11-5, 11-7 to share the gold and silver medals. 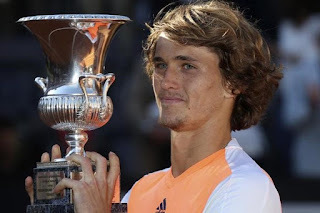 Zverev broke again in the third game of the second set and clinched the match with another break in the ninth game. FC overcame a bit of hard luck to ride on C.K. Vineeth’s extra-time brace and bag the prestigious title despite the unavailability of two of key players, Sunil Chhetri and Cameron Watson. BFC showed a big heart and fought bravely even as Bagan had the ball in control for most part of the goalless first half. Most importantly, the Blues stuck to their well-planned defensive structure, led by John Johnson, Juanan Fernandez and Sandesh Jhingan, to close the gaps and force Bagan have a go at the goal through corners, free-kicks and long balls. 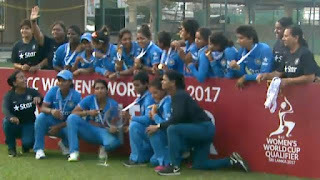 India capped their brilliant run to clinch the women’s quadrangular cricket series by defeating hosts South Africa by eight wickets in the final played at Potchefstroom. India warmed up in great fashion ahead of next month’s World Cup, to be played in England, finishing the tournament with a 7-1 win-loss record, the only reverse having come against the hosts at the fag end of the league phase. In the final, India dismissed South Africa for 156 and then chased down the target in 33 overs, reaching 160 for two. Poonam Raut was unbeaten on 70 and skipper Mithali Raj was 62 not out. Pacer Jhulan Goswami, who holds the record for most ODI wickets, claimed three for 22 and leg-spinner Poonam Yadav took 3/32 to wrap up South Africa’s innings in 40.2 overs. 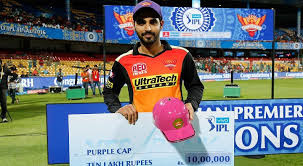 Sunrisers Hyderabad pacer Bhuvneshwar Kumar became the first bowler to win the Purple Cap in two successive IPL seasons, ending the 2017 edition as the highest wicket-taker. Bhuvneshwar finished IPL 2017 with 26 wickets from 14 matches, while he had picked up 23 wickets in 17 matches last season. He claimed his first T20 five-wicket haul in this IPL season. Sweden has won the ice hockey world championship, beating favourites Canada in a dramatic penalty shootout. The teams were tied at 1-1 after three periods in Cologne, Germany, with Victor Hedman scoring for the Swedes and Canada's Ryan O'Reilly equalising. The overtime brought no goals, but the Scandinavians then were twice on target in the shootout, while the North Americans again failed to score. Indian-origin wrestler Jinder Mahal clinched the WWE Championship after beating Randy Orton at pay-per-view event Backlash. In the process, Mahal, who is a Canadian national, has become the second wrestler of Indian descent to win a world heavyweight championship in the promotion. The Great Khali had won the now-defunct World Heavyweight Championship in 2007. Bollywood actress Jacqueline Fernandez has been awarded the International Humanitarian Award for her work in India and worldwide at the second annual Asian Voice Charity Awards. Cochin Port Trust has received two Best Performance Awards from Ministry of Shipping for the highest growth in operating surplus and also for achieving third highest growth in cargo traffic among the major ports in the year 2016-17. The awards were received from Union Minister for Road Transport and Highways and Shipping Nitin Gadkari by P Raveendran, Chairman and A V Ramana, Dy Chairman, Cochin Port Trust at a function held at Goa yesterday, Port Trust officials said. Cochin Port Trust has registered an operating profit of Rs 127.72 crore during 2016-17 as against Rs 70.89 crore during 2015-16 recording a growth of 80 per cent. Operating profit during 2014-15 was Rs 19.55 crore. The Port handled 25.01 MMT cargo during 2016-17 with a growth of 13.2 per cent over 22.10 MMT handled in 2015-16. The containers handled during 2016-17 is 4.91 lakh TEUs with a growth of 17.0 per cent over 4.20 lakh TEUs in 2015-16. 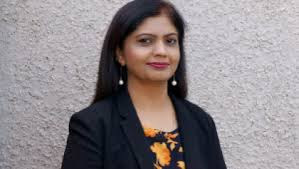 A 43-year-old UK entrepreneur has become the first India-born woman to be elected as a councillor to a ward in the UK. She was elected as a councillor to the Court of Common Council, becoming the first India-born woman to be elected to the City of London Corporation. She aims to promote the city's businesses in international markets and develop the city's presence overseas. The City corporation is the richest local authority in the country which controls the 1.3 billion pounds city cash fund. The City of London is divided into 25 wards and elected councillors represent each ward. Tata Group Chairman N Chandrasekaran announced a key recruitment at holding company Tata Sons on Monday — of veteran investment banker Saurabh Agrawal as group chief financial officer. Agrawal, who will join from July, is currently the head of the strategy with the Aditya Birla Group. As group CFO at Tata Sons, he will have to focus on bringing back some of the loss-making businesses on track. Agrawal was instrumental in handling the Idea-Vodafone merger deal, as well as the Grasim-Aditya Birla Nuvo merger for the Birla entity. 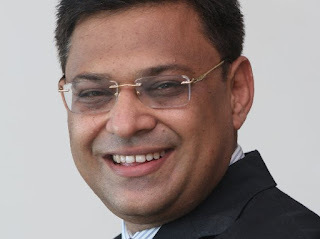 It will be the second big appointment by Chandrasekaran, after that of Ankur Verma, former managing director of investment banking at Bank of America Merrill Lynch, who joined Tata Group in March. 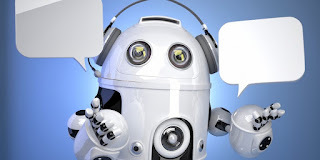 HDFC Life, one of India's top private life insurance companies today announced the launch its first life insurance email bot. The AI based email bot, named SPOK is claimed to be first in India that automatically read, understand, categorise, prioritise and respond to customer emails that are sent to HDFC Life, within milliseconds. This automation initiative will enable HDFC Life to respond to user queries faster and more efficiently and consistently. It will also help generate deeper insight on customer needs by identifying patterns in customer interactions and facilitating HDFC Life to progressively anticipate and address all customer issues and needs. The deployment of SPOK will improve customer experience, while providing the support staff with the bandwidth to focus on customer satisfaction and delight.